ABB has unveiled a new, single-arm collaborative robot that combines industry-leading capabilities with a much smaller footprint. Building on the success of YuMi – the world’s first truly collaborative, dual-arm industrial robot – the new robot has a payload of 500 grams and can be easily integrated into existing assembly lines to increase productivity. 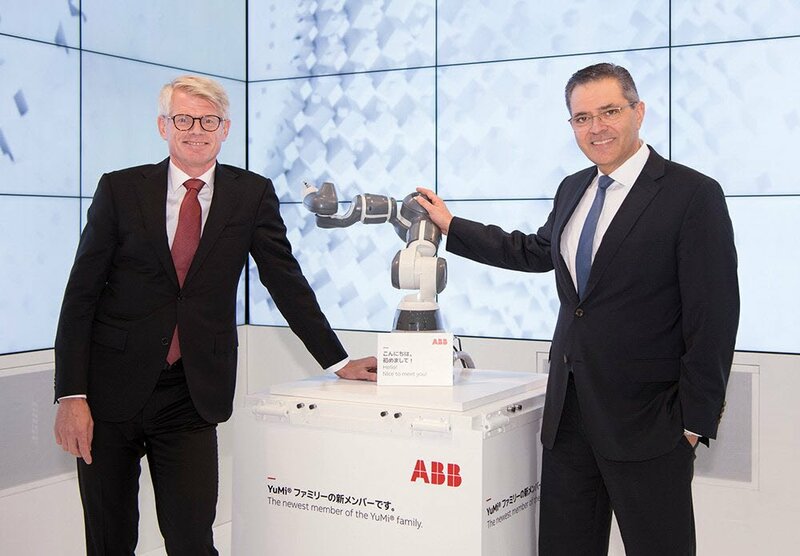 Sami Atiya, President of ABB’s Robotics and Motion division, said the new robot also features lead-through programming, eliminating the need for specialised training for operators. “The success of YuMi has exceeded expectations; it was originally designed for small-parts assembly, but it has turned out to be exceptionally versatile – it can solve a Rubik’s Cube, make sushi, wrap gifts and conduct an orchestra,” Mr Atiya remarked. Per Vegard Nerseth, Managing Director, ABB Robotics, said the new single-arm robot was a much anticipated addition to the ‘factory of the future’. “Combining this robot with our ABB Ability digital solutions will allow our customers to take efficiency and reliability in their factories to the next level.” he concluded. ABB’s newest collaborative robot newest collaborative robot, which is being previewed at the International Robotics Exhibition (iREX) 2017 in Tokyo, will be officially launched in 2018 will be officially launched in 2018.